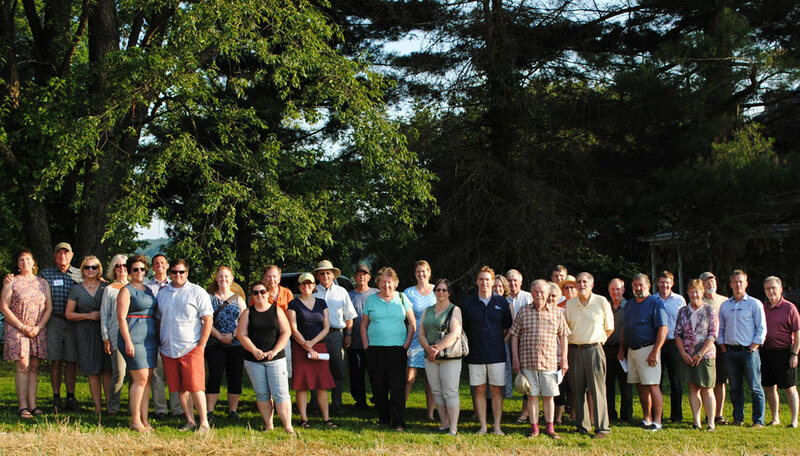 The Cecil Conservation Partnership’s member organizations work together to protect and sustain Cecil County’s healthy lands, clean waters, and unique historical assets. The Partnership supports member group activities and goals and works to educate the public and government officials concerning the necessity of conservation to promoting and sustaining healthy quality of life in Cecil County. The Alliance for the Chesapeake Bay works to lead, support and inspire local action to restore and protect the lands, rivers and streams of the Chesapeake Bay watershed. We believe the best restoration results come from building strong and diverse partnerships among individuals, communities, businesses and governments across the Chesapeake watershed. We are working towards a future where the Bay and its watershed experience improved water quality and habitat through the committed environmental stewardship of those who live and work in the Chesapeake region. The Cecil Bird Club, a chapter of the Maryland Ornithological Society (MOS), promotes knowledge about our natural resources, and fosters its appreciation and conservation. The bird club offers field trips, bird counts, and conservation projects for members and guests. The Cecil Land Use Association seeks ways to responsibly manage growth in Cecil County, preserving our Eastern Shore rural way of life, protecting the environment, and strengthening agriculture and tourism as vital parts of our economy. As a nonprofit land trust that has helped preserve 58,000 acres of land, Eastern Shore Land Conservancy is focused on lands, towns, and people. ESLC is committed to preserving and sustaining the vibrant communities of the Eastern Shore and the lands and waters that connect them. Elk and North East Rivers Watershed Association (ENERWA) is dedicated to encouraging environmentally responsible recreational and commercial uses of the Elk and North East Rivers. 1000 Friends of Maryland advocates for a more environmentally and economically sustainable future that creates opportunities for all Marylanders through better development patterns. Our work supports the creation of vibrant communities with housing and transportation choices near jobs, schools, and services, and prevents the loss of farmland and forests to development. The mission of Friends of the Bohemia is to thoughtfully and carefully advocate for the Bohemia River, to give the silent waterway a voice in its watershed communities and dedicate our actions to fostering a cooperative legacy of learning, studying, communicating, protecting and improving the waterway and the water quality for all future generations. Our programs include water quality sampling, stream clean ups, working with Cecil County students and educators, hosting workshops and paddle tours, and reaching out to the community at public events and with an annual Water Quality Report Card mailing. The Land Trust Alliance works to increase the pace, improve the quality, and ensure the permanence of land conservation in America. The Alliance’s Chesapeake Bay Land and Water Initiative was established in partnership with the Chesapeake Bay Funders Network to accelerate land protection and stewardship that will best preserve and restore water quality in the Chesapeake Bay and its rivers and streams across the watershed. Maryland Environmental Trust works with landowners, local communities, and citizen land trusts to protect Maryland’s most treasured landscapes and natural resources as a legacy for future generations. As one of the oldest and most successful land trusts in the country, the Maryland Environmental Trust holds over 1,080 conservation easements preserving over 134,000 acres statewide. Our Land Conservation, Monitoring and Stewardship, and Land Trust Assistance Programs promote the protection of open land. We also provide grants to environmental education projects through the Keep Maryland Beautiful Program. The mission of the Octoraro Watershed Association is to restore and protect the natural resources of the scenic Octoraro Creek and to preserve and protect its farmlands, forest, and rural heritage through education, outreach, restoration, and community stewardship. The Sassafras River Association is dedicated to promoting good water quality, a balance among recreation, wildlife, and economic activity. Our activities include: advocating for clean water policies and initiatives; performing educational outreach to children and adults; and working to restore and protect water quality by performing science-based water quality collection and analysis. We work with farmers to construct storm water restoration projects. Our Riverkeeper patrols the river for any signs of pollution and responds to calls and emails from citizens. Sustainable Resources Group, LLC is a company focused on providing sustainable solutions for management of wastes; focusing on waste treatment that strives for zero waste and landfill free solutions. We manage wastes through land application, composting, manufactured soil, animal feed, anaerobic digestion, co-products and energy/fuel production. We recommend and implement methods to improve recovery of recyclable products, reduce wastewater treatment costs and decrease the overall cost of handling waste. Our services are utilized by the Food and Beverage, Manufacturing, Municipal and Agriculture industries. The Watershed Stewards Academy (WSA) is a training program to empower residents to improve the water quality of local streams. By sharing resources, forming partnerships, and coordinating efforts, WSA works with a Consortium of Support Professionals, Master Watershed Stewards and their communities to reduce pollutants, infiltrate stormwater and restore natural systems. West Nottingham Academy is a 9th through 12th grade co-educational day and boarding school for students seeking a liberal arts, college preparatory experience. As the oldest boarding school in America, we have been a proud fixture of the Chesapeake Bay Watershed in Maryland since 1744. Wildlife Habitat Council promotes and certifies habitat conservation and management on corporate lands through partnerships and education. WHC Conservation Certification programs take corporate sustainability goals and translate them into tangible and measurable on-the-ground actions. Collaborating with corporate employees, other conservation organizations, government agencies and community members, WHC programs focus on healthy ecosystems and connected communities. 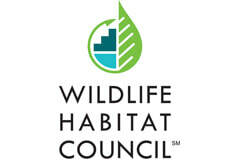 WHC-assisted wildlife habitat and conservation education programs are found in 48 states and 17 countries.